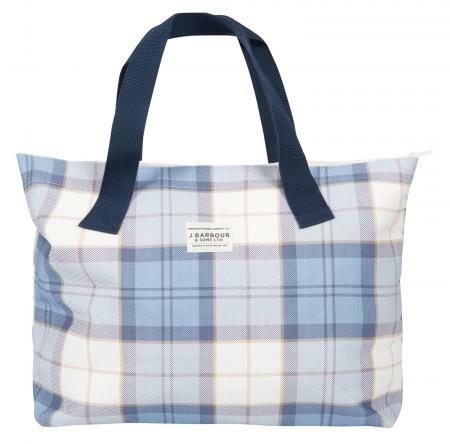 Barbour Printed Shopper Bag in Fade Blue. Add a pop of tartan to your look with the Barbour Women's Printed Shopper Bag, crafted from a durable cotton canvas material and all over check pattern. Ideal for your next shopping day trip, the bag features a durable dual webbed carry strap, spacious main compartment and a Barbour branded badge at the front for an authentic finish. - Care according to labelSALE!